When purchasing a used truck, you want to make sure that it is in the best shape possible. You are about to kick off your independent truck driving career and all the excitement is building up. One of the most important aspects of a successful truck driving business is the truck itself. Essentially, your truck is your place of business so you want it to be the best quality possible. Buying a used truck can save you a lot of money and still give you good quality. Here are five things to check before buying a used truck. You want to first check with your friends or family to see if they are selling a used truck or know someone else personally that is. When you purchase a truck, or anything for that matter, from someone that you know, you can typically get a pretty good deal on it. In addition to that, people that you know and trust are more inclined to look out for your best interests so you know that the truck they are selling you will be in good shape. Once you’ve found some trucks that you’re interested in, whether it be from a friend, a dealership, or online source, you want to check the truck’s surface. You are looking for any signs of rust because if there is some present, it can mean the truck isn’t reliable for transporting shipments. You want to check the truck during the day and do so very thoroughly. It is important to know why the used truck you are looking at is up for sale in the first place. The reason that it is being sold could be the reason that you don’t want the truck. If possible, you want to ask this question face to face with the dealer so that even if they aren’t being truthful, you can judge based off of their expressions. When checking the tires, the first thing you want to do is make sure they have proper tread. Along with this, you want to inspect them closely for any cracks or defects. The truck’s tires can give you some insight on its history. Cracks and defects can be signs that the truck was overloaded or that it was parked on wet surfaces. If the tire was on a wet surface, the whole truck could be at risk of corrosion. Whether you are looking to upgrade your fleet to tow trucks or simply interested in the latest trucking technology, you can rely on Baltimore Freightliner-Western Star. 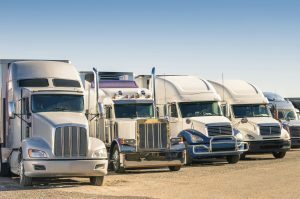 We have provided top-notch service for the trucking industry for 30 years and would love to assist you in buying a new top-of-the-line truck, finding the specialty parts you need, or repairing your truck. Give us a call toll-free at 800-832-7278 or locally at 410-685-4474, or contact us online. To find out more about what we are up to, follow us on Facebook,Twitter,Pinterest, and Google+. This entry was posted on Thursday, April 12th, 2018	at 8:25 pm	and is filed under Trucking Basics	. You can follow any responses to this entry through the RSS 2.0	feed. Both comments and pings are currently closed.